“They’re still human,” reminds Alex Oxlade-Chamberlain as he assesses his Sunday – one which he will more than likely spend trying to find ways of trapping the supposed extra-terrestrials of Manchester City. He is reacting to a question which suggests Liverpool’s opponents are unconquerable. Enthusiasm and conviction is what Liverpool really need right now – particularly their supporters, many of whom are dealing with the disappointment of losing Philippe Coutinho to Barcelona last weekend. 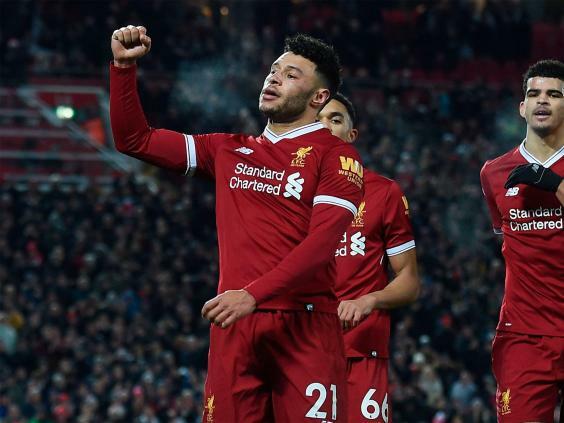 Many, indeed, would argue that Liverpool no longer have everything they need but it remains an encouraging sign that Oxlade-Chamberlain is still able to reel off the names of at least three team-mates with the ability to influence important matches. It is significant too that even though City have had more money, better players and more success than Liverpool for nearly a decade now, they have not won at Anfield since 2003. “They haven’t lost many games,” Oxlade-Chamberlain says, smiling – his mind seemingly skimming over City’s season, which includes only one defeat: Shakhtar Donetsk away in the final group game of the Champions League when they were already qualified and understrength. “But of course, they are beatable,” he continues. “We saw Bristol City do really well there the other night. Playing at Anfield, we’re always confident we’re going to win. That’s what I’ve felt from the moment I came here. “When I used to come to Anfield as an away player, I always knew it was going to be a hard game, no matter what kind of form your team was in. When the fans get going and the boys play like they can, it’s a really tough afternoon for whoever we play. Oxlade-Chamberlain is respectful in what he says about Coutinho – “a world-class talent” – but you get a sense the Liverpool squad’s bonding trip to Dubai has helped ease the passage of his departure as well as integrate a new arrival in Virgil van Dijk. Often, it is the players that are the harshest judges of abilities and personalities. Given that some insight is offered here without the need for it to be requested reflects that the most expensive defender in the world has already made a sharp impression, aside from his winning goal against Everton. “Great players will leave clubs and the clubs will bring in great players,” Oxlade-Chamberlain says of Coutinho’s departure. “We have just brought in Virgil and what an amazing addition he has been in the short time he has been here, he has brought that air of confidence and his persona. That has been a big lift for us. At a massive club like Liverpool people are going to come and go and whoever remains it is our job to keep the wheels moving and keep the momentum going. When a reminder comes about Liverpool’s recent history of selling their best players and it clipping the development of the team, he adds: “For me I haven’t really even thought about Phil leaving. You pay it attention and you realise it happens but you can’t start thinking, ‘What are we going to do now that Phil is not here?’ It can’t be that at all. One less player whose selection in this sort of fixture if fit and available would be a certainty means a chance for someone to replace him. 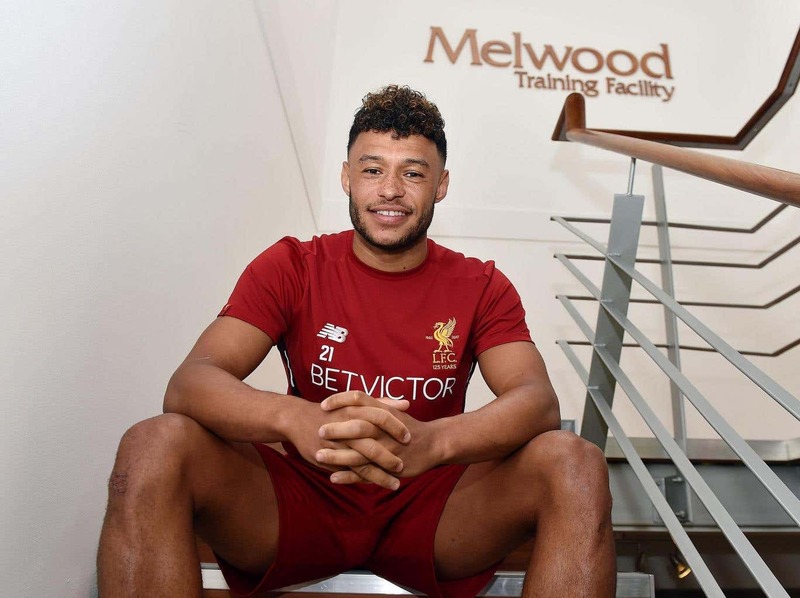 Oxlade-Chamberlain signed for Liverpool because he felt he needed a change of surroundings, routine and guidance in order to develop into the player it was believed he would become as a 16-year-old. Now 24, he sees himself as an attacking midfielder who is best suited in a central area. He is keen to avoid the sort of headlines that read “I can replace Coutinho” but you sense a moment of real opportunity is coming, especially after being eased into the side slowly by Jürgen Klopp after arriving late from Arsenal in the summer transfer window.